Do you have your own customized contract you want to use? No worries!! 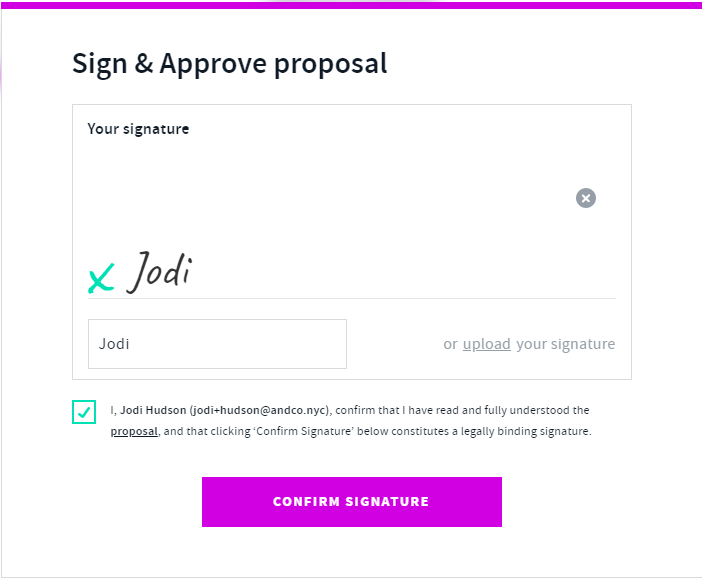 Simply attach your contract to the proposal with AND CO and send it to your client so they can e-sign it online and approve it! 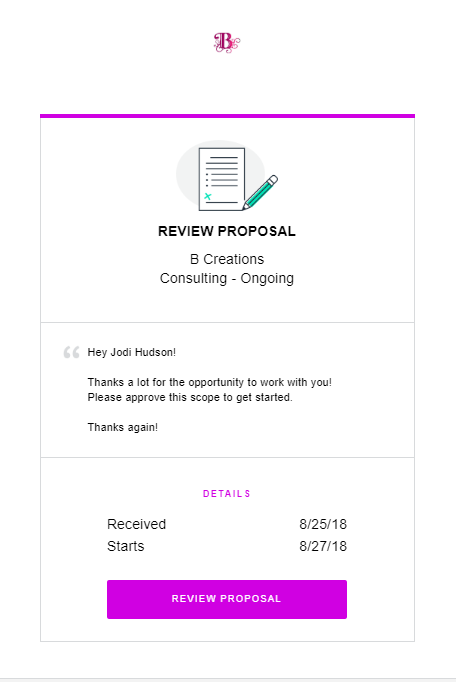 Once you have created your proposal and set up the project terms the next page will show the proposal in review. Once you see the highlighted yellow line select the yellow plus symbol. Once selected you will see the option to upload files as well as add a Title to this section. You can add multiple attachments if required simply by selecting the > Add a file option again in grey text. If you want to save the Proposal as a draft simply select the options tab top left > save. This will save the proposal as a draft and you can view it via the proposals and contract tab in draft mode. 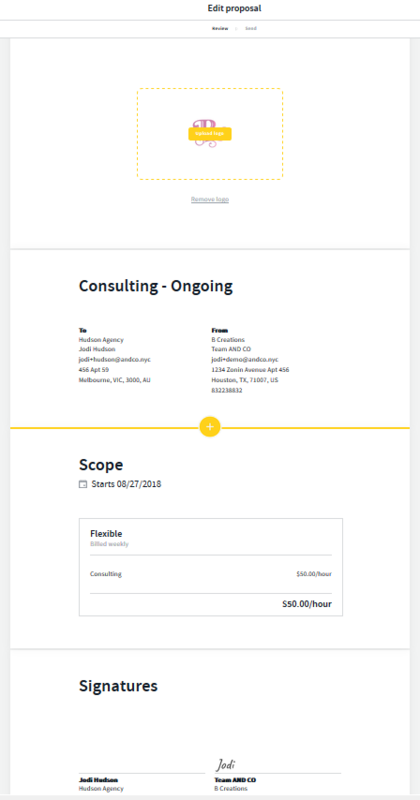 Once you have added your custom contracts or any other attachments and you are ready to send the proposal of to your client simply select the next option top right and send it off for approval.